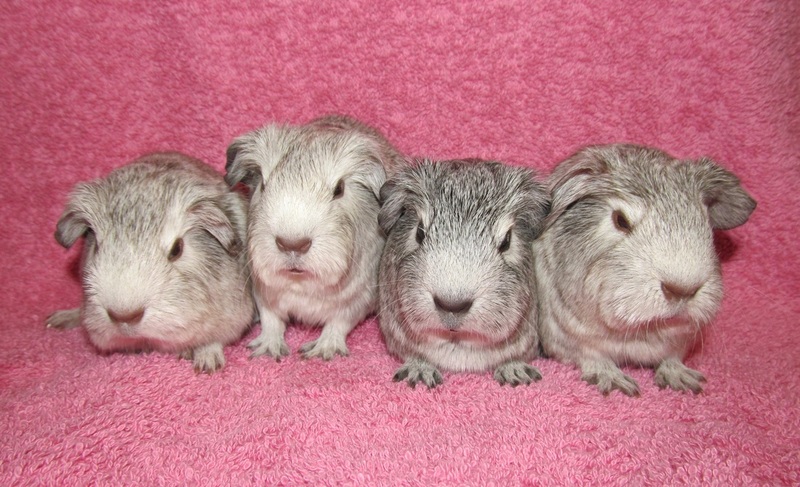 Two boars and 2 sows, all silver chinchillas. 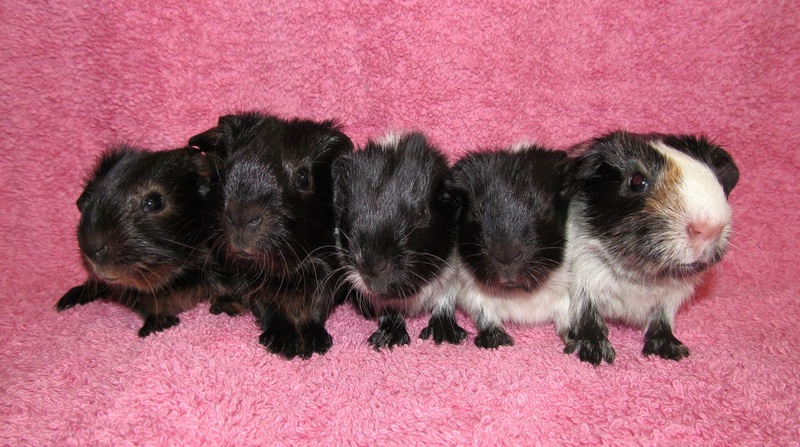 Here they are at 2 weeks old. Boars on the left, sows on the right. Lovely chunky babies. Two chin boars, 1 cream self boar, 1 cream self sow and one pink eyed white sow. The 2 boars. The one on the left is huge. He weighs 130g!!! Unfortunately 4 DOA, such a shame. 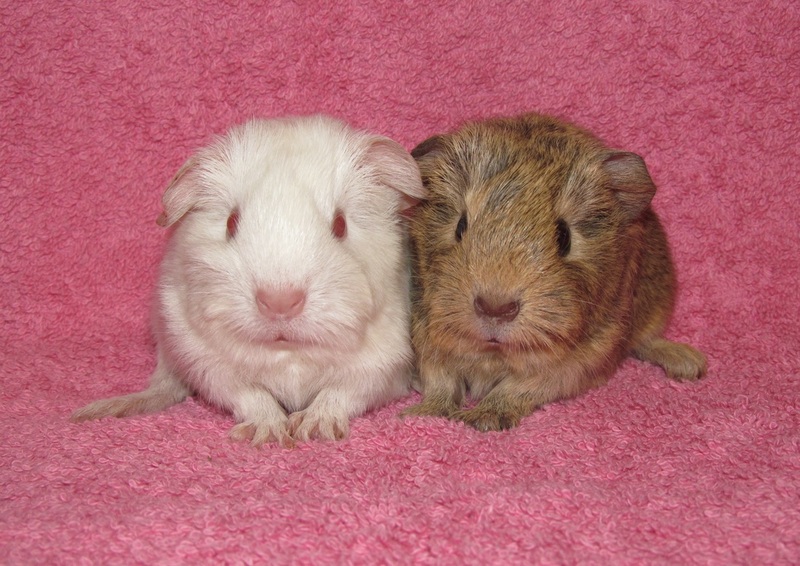 I have alive though 1 cream chin sow and 1 pe white boar. One cream chin boar and 1 pe white sow. 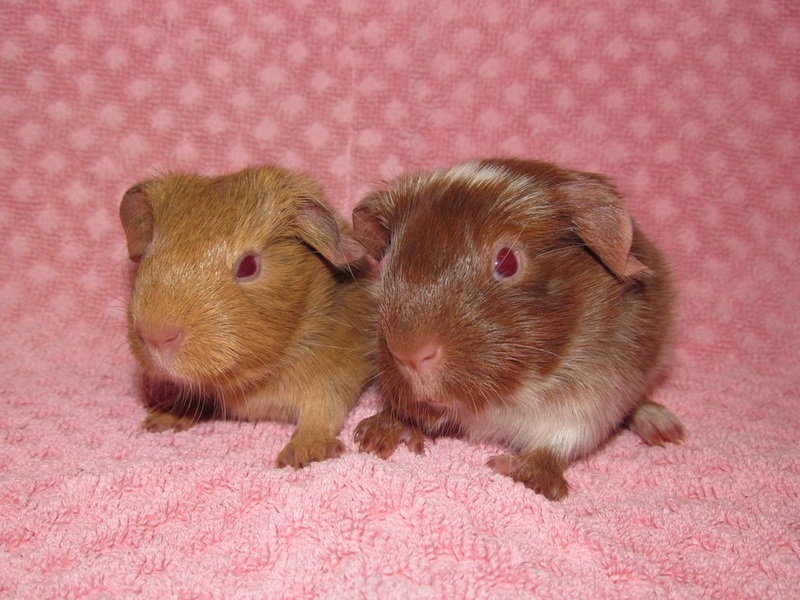 Only 2 from this litter, bit of a surprise!! 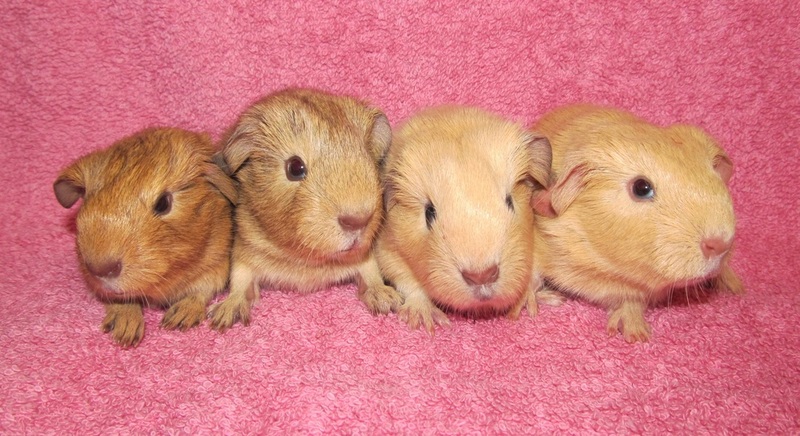 One cinnamon chin boar, 2 pale silver chin sows and 1 lemon chin sow. There was also 1 DOA, I think a silver sow. All doing well, a lovely litter from this repeat pairing. One pale silver boar, 2 lemon boars and 2 lemon sows. All a good size, not sure how Penny fitted them all in!! 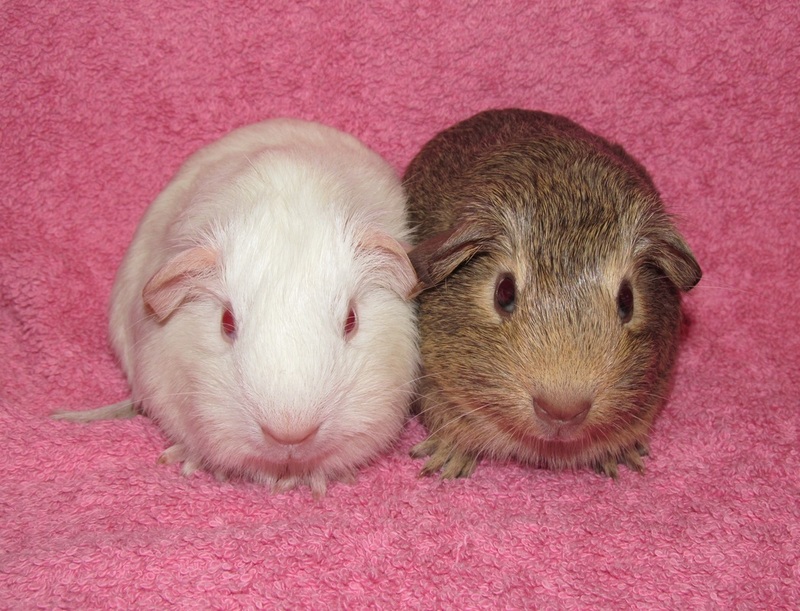 These 2 are my favourites, pale silver boar and lemon sow. 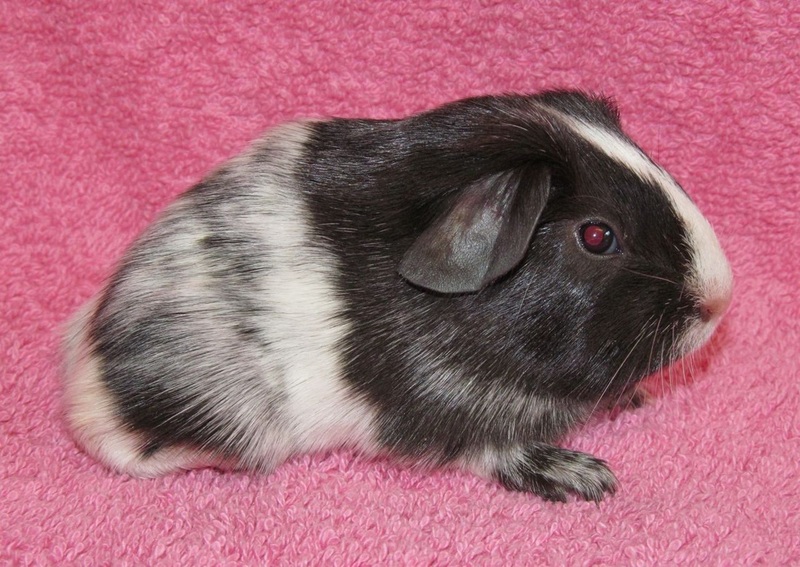 One black dalmation sow, very cute, but a real surprise!! I definitely thought Cruella was carrying more than one baby!! One buff chin boar, 1 cream chin sow, 1 self cream boar and 1 self cream sow. Lovely babies, all a good size. One black & tan sow, 1 black & tan boar, 1 very tiny black & tan dal boar, 1 black dal boar and one black dal boar with a tan patch on his face. There was another baby DOA, so a total of 6!!!! Unfortunately the little black & tan dal boar has died, real shame, but he as very tiny! 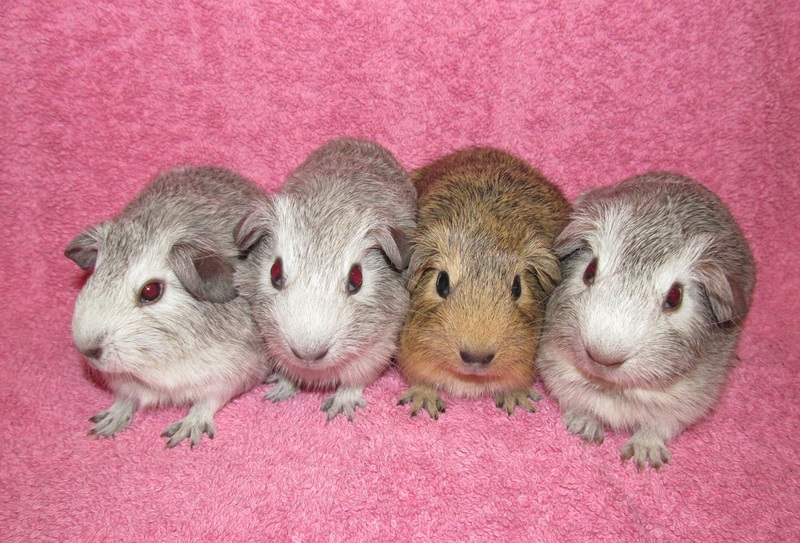 One cinnamon chin sow, 1 very pale silver sow, 1 silver sow and 1 cinnamon boar. All a good size, lovely litter!! :) Here they are at a week old. 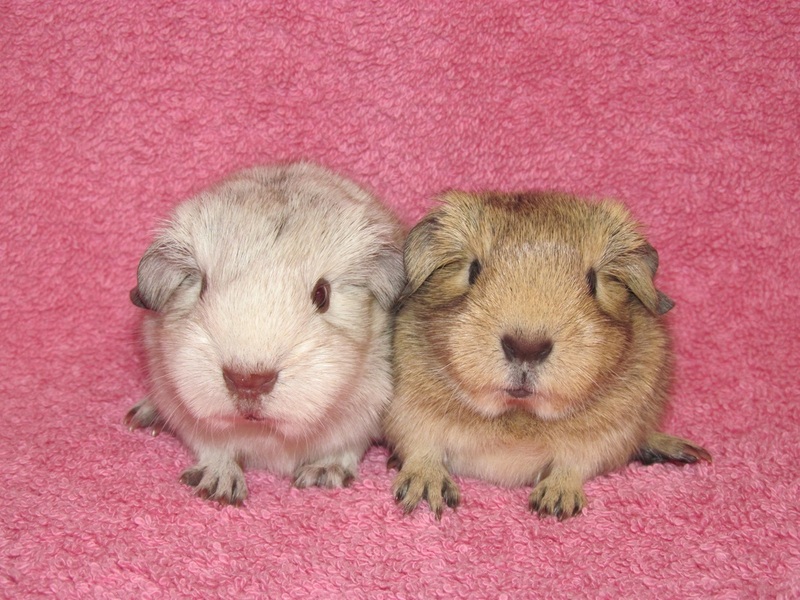 2 Silver chins and 1 lemon chin, all sows! !